Cassandra Bohnsack is set to be the lone diver for Concordia this season. Photo by Bailey Hovland. For the past two seasons, Concordia’s Swimming and Diving team has really just been a Swimming team. 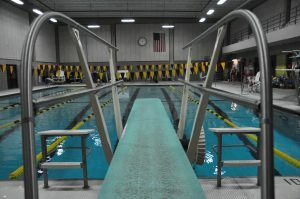 Unable to keep a diver on the roster for the regular season, Concordia entered most meets at a disadvantage since they had to forfeit two events: the three meter dive and the one meter dive. Gary Fisher, who is entering his second season at the head of the program, knows he needs more divers. Despite bringing in the largest recruiting class in the last three years, Cassandra Bohnsack, a freshman from Sauk Centre, is the only diver on the roster going into the season. She has noticed her seclusion heading into the season. Bohnsack originally started swimming in elementary school but immediately switched to diving when she got the opportunity in seventh grade, though she did begrudgingly swim on occasion in high school. “It was kind of like, ‘oh this girl’s sick, you’re swimming,’” Bohnsack said. Now at Concordia, Bohnsack doesn’t have to swim. She just has to dive. Despite never diving competitively himself, Fisher does have experience in instructing divers. Over his 34 years of coaching, he has helped coach divers every season in at least some capacity. In fact, ten of those years he was the diving coach. 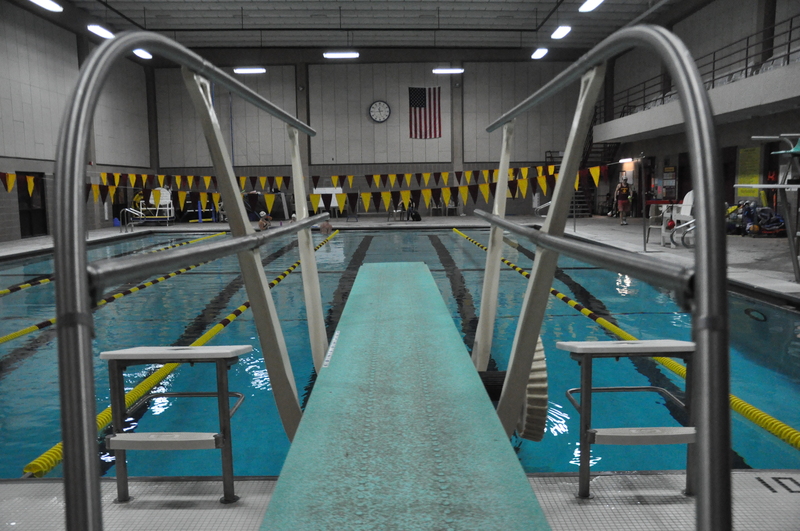 Despite having a lot of experience, Fisher does hope a former athlete from across eighth street can give Bohnsack and other future divers a bit of an advantage. Emily Pascavis, a former DII national qualifier for MSUM, agreed with Fisher to help coach Bohnsack throughout the season. “I think Cassie is the perfect athlete to jump start growth in the diving team,” Pascavis said. Pascavis doesn’t see a problem with only having one diver, at least in terms of development. In the last two seasons without a diver, Concordia has finished ninth in 2017 and eighth in 2016 in the conference. The Cobbers haven’t finished better than eighth since 2011, when they finished seventh. During that span there were multiple teams with adequate diving depth, including a roster in 2015 that had four divers. Though a Concordia diver hasn’t finished in the top three at the conference meet since Molly Hansvick took second in the one-meter dive back in 2012, there is history of diving success at Concordia College. Just over a decade ago, in 2006, Annie Cullen captured the Division III National Championship in the one-meter dive. It remains to be seen if Concordia can return to diving prominence, but one thing is for sure. In order to do so, the team needs divers. For now, Bohnsack, who also plans on playing softball in the spring, will happily fill that role. Concordia’s Swimming and Diving team will host its first meet on October 27, taking on Minnesota Morris. Events are scheduled to begin at 6 p.m.